****BACK ON THE MARKET with a brand new A/C unit!! 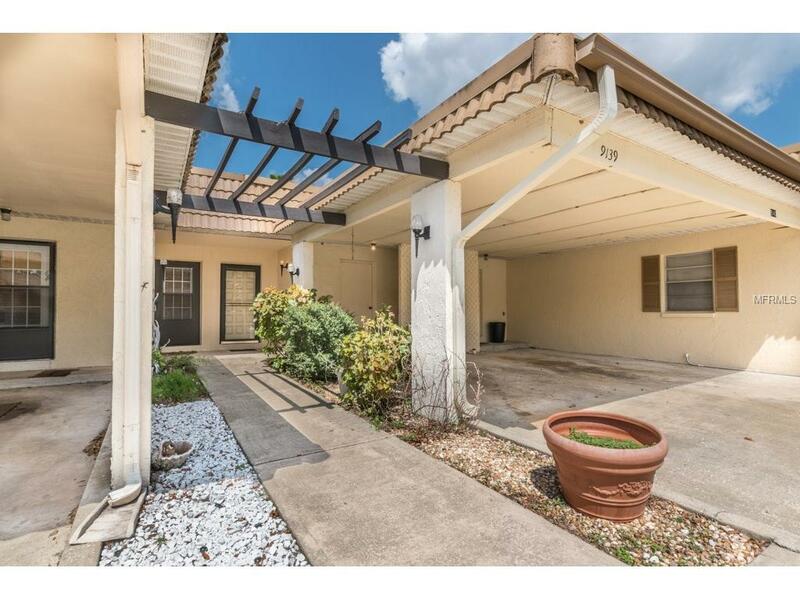 This Charming 2 bed 1 bath Villa is perfect as a winter retreat or year round residence. Located in the Trinity area, the neighborhood features all the best in shopping and restaurants with a full service hospital (Trinity Memorial) and several highly rated schools nearby. You'll enjoy relaxing in your screened in lanai while enjoying the peaceful view complete with mature landscaping. The highlighted features include brand-new carpets and tile throughout, fresh interior paint, new impact resistant windows, granite counter-tops, and a new range in the kitchen. There is also an interior laundry room with a stacking washer/dryer. Easy access to Tampa International Airport and a ton of amazing Tampa events and attractions near by as well. Don't forget the beautiful beaches! All of this is tucked away in a quiet and cozy neighborhood. Come see this adorable Villa today! Amenities Additional Fees includes Roadway And Common Area Landscaping.